A young male Parrot looking for a new home very social and great family pet. Less then two years old. Will include parrot with ring ID, main cage, carry cage and food. Everything you need to look after the little boy. Really lovely animal would make a perfect pet. 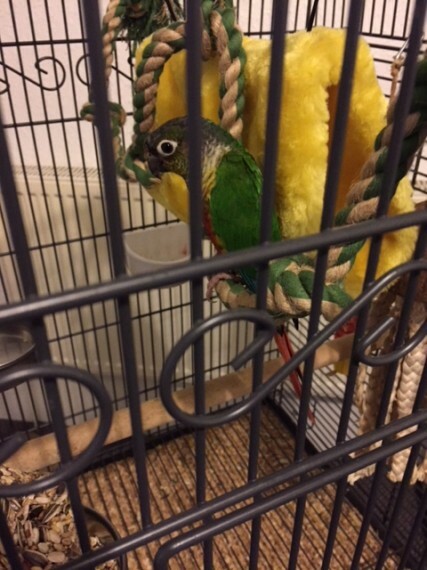 I believe it is a Green Cheek Conure. Hand reared. Welcome visitors to meet him please come and see. Very healthy animal.